Kończąc przegląd tekstu o raju w poszukiwaniu wskazówek, jak sobie radzić z problemem articles w tłumaczeniu na angielski, napotykamy dzisiaj na cały kosz owoców – konkurentów jabłuszka do tytułu owocu rajskiego, ale też – co dla nas ważniejsze – na kilka pouczających przykładów sytuacji, w których będzie kilka poprawnych rozwiązań problemu articles, tylko każde z nich znaczy co innego. Będą się też powtarzać sytuacje omawiane w poprzednich wpisach, więc pominiemy je w komentarzach (można oczywiście znaleźć odpowiednie wyjaśnienia w poprzednich wpisach). A więc do dzieła! Boski smak figi znają na całym Bliskim Wschodzie od niepamiętnych czasów. *The divine taste of +fig has been known all over the Middle East since time immemorial. The divine taste of the fig has been known all over the Middle East since time immemorial. Figi łatwo magazynować, po prostu się je suszy, co w gorącym klimacie nie jest bez znaczenia. Mają dużo węglowodanów. Suszone – błyskawicznie podnoszą poziom cukru we krwi. Znakomicie uzupełniają dietę, która kiedyś bazowała na mleku kóz i owiec oraz plackach z ziarna i mąki. *Figs are easily stored – they only have to be dried – which is not without significance in ++the hot climate. They are rich in carbohydrates; dried figs quickly increase the sugar level in +blood. They were ++a perfect supplement to ++the diet which used to consist of sheep or goat milk and cereal and flour cakes. *Figs are easy to store – they are just dried, which makes perfect sense in ++the hot climate. They have got plenty of carbohydrates. Dried figs increase +blood sugar level in a flash. They superbly supplemented +(+)diet, which was once based on goat and sheep milk, and pancakes made of grain and flour. Figs are easily stored – they only have to be dried – which is not without significance in the / a hot climate. They are rich in carbohydrates; dried figs quickly increase the sugar level in the blood. They were the / a perfect supplement to the / a diet which used to consist of sheep’s or goat’s milk and cereal and flour cakes. Figs are easy to store – all you need/have to do is just dry them// all they need is just to be dried, which makes perfect sense in the / a hot climate. They contain plenty of carbohydrates. Dried figs increase the blood sugar level in a flash. They were a superb supplement to the diet, which was based // They were a superb supplement to a diet which was based on goat’s milk and ewe’s milk, and pancakes / unleavened cakes made of grain and flour. Już w trzecim tysiącleciu przed Chrystusem morelę uprawiano w Chinach jako drzewo owocowe. *+Apricot was cultivated as a fruit tree in China as early as in the 3rd millennium before Christ. The apricot was cultivated in China for its fruit already by the 3rd millennium BC. Already by the third millennium BC the apricot was being cultivated in China for its/ the fruit. In China the apricot was being cultivated for its/ the fruit already by the third millennium BC. W tym wypadku ani wąż, ani Ewa z pewnością nie musieliby wkładać wiele wysiłku w kuszenie. *In such +case, neither the snake nor Eve would have had to put much effort into +tempting. In that case, neither the snake nor Eve would have had to put much effort into the tempting. In that case, neither the snake nor Eve would have had to put much effort into tempting Adam. If that was the situation, then neither the snake nor Eve would have had to put much effort into tempting Adam. If so, then neither the snake nor Eve would have had to put much effort into tempting Adam. In that situation, neither the snake nor Eve would have had to put much effort into the tempting. Owoc [=morela] to szczególnie aromatyczny, pachnący, w porównaniu z sinozieloną figą – pięknie, pomarańczowo barwiony. *The apricot is very aromatic: it smells wonderful; when compared to ++a greenish fig – it has a beautiful orange hue. *The fruit is particularly aromatic and it has a beautiful orange colour – especially in comparison with ++a bluish green fig. Ciekawą sytuację mamy z wyrazem orange w znaczeniu koloru. Jeśli występuje jako przymiotnik przy rzeczowniku typu colour lub hue, pojawia się article. Jeśli zaś orange występuje jako przymiotnik bez rzeczownika, nie stawiamy article: Its colour is orange = Jest pomarańczowe / koloru pomarańczowego. Ta sama reguła dotyczy wszystkich innych odrzeczownikowych przymiotników określających barwę, typu violet, ruby, turquoise, vermilion, emerald, lemon, ebony. Jednak ze względu na dalszy kontekst, nie polecam tu tłumaczenia *Its colour is a beautiful orange. The apricot is very aromatic: it has a wonderful fragrance; and its colour is a gorgeous hue of orange compared to the/an ashen green/ the / a dull green fig. The fruit of the apricot is particularly aromatic and it has a beautiful orange colour – especially in comparison with the/a greyish-green fig. Byłby więc pewien męski szczegół anatomiczny – jabłko Adama – morelą? *Could then one of the anatomical details, i.e. +Adam’s apple, be an apricot? So could one of the male anatomical details, i.e. the Adam’s apple, have been an apricot? So might Adam’s Adam’s apple actually have been his apricot? 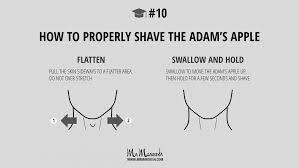 So might the Adam’s apple on Adam actually have been Adam’s apricot / an Adam’s apricot? zabytki Krakowa = the Kraków’s monuments !!! most warszawski = the Warsaw’s bridge !!! W przypadku jabłka Adama mamy jeden z nielicznych wyjątków od tej reguły, ponieważ wyrażenie Adam’s apple funkcjonuje jak rzeczownik dwuczłonowy, tylko bez kreski (por. ice-cream). *The home of the equally attractive orange is China. No wonder the inhabitants of the Middle Kingdom seek in it the causes of the fall of humankind. But wasn’t +(+) an orange, similarly as + lemon which comes from India, too sour for Adam? *The homeland of the orange, +the equally interesting fruit, is China. No wonder that the inhabitants of the Middle Kingdom perceived it as the reason for the fall of mankind. But was it not too sour for Adam, like the lemon which originates from India? The home of the equally attractive orange is China. No wonder the inhabitants of the Middle Kingdom see it as the cause of the fall of humankind. But wouldn’t the /an orange, just like the lemon, which comes from India, have been too sharp / tart for Adam? The homeland of the orange, an equally interesting fruit, is China. No wonder that the inhabitants of the Middle Kingdom perceived it as the reason for the fall of mankind. But was it not too sour for Adam, like the lemon, which originates from India? Nie było czasu na refleksję, to był po prostu impuls. Owoc, w którym wystarczyło zatopić zęby i … dalszy ciąg sobie darujmy. *There was no time for reflections; it was ++a pure impulse. All there was to do was sink +teeth into the fruit and... we can spare ourselves the rest. There was no time for reflection; it was pure impulse. All there was to it was to sink the / his / one’s teeth into the fruit and... we can spare ourselves the rest. There was no time for reflection; it was just an impulse. All that Adam had to do was to sink his teeth into the fruit and … I needn’t remind you what happened next. Są i tacy, dla których raj z całą pewnością istniał na wyspie Cejlon – dzisiejszej Sri Lance. Jeśli tak, zagadkę z rajskim drzewkiem rozwiązujemy od początku. *There are also some people who maintain that +the paradise was for sure at the island of Ceylon – today’s Sri Lanka. If it’s so, we have to solve the problem of the paradise tree from the beginning. *There are also some, who are completely certain that Paradise was on +the Ceylon Island, today’s Sri Lanka. If yes, we must go to the very beginning to solve the riddle of the Paradise tree. There are also some people who maintain that Paradise was for sure on the island of Ceylon – today’s Sri Lanka. If that’s/they’re right, we will/shall have to start solving the problem of the Tree of Paradise from the beginning. 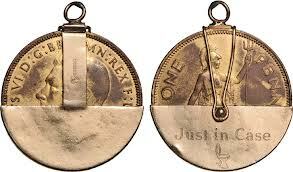 There are also some people who claim that Paradise was definitely on the island of Ceylon/in Ceylon – today’s Sri Lanka. If they’re right, we’ll have to go back to square one / start from scratch, and begin/start solving the problem of the Tree of Paradise all over again. There are also some who are quite/absolutely certain that Paradise was on Ceylon Island, today’s Sri Lanka. If that’s correct, we must go back to the very beginning to find a solution to the riddle of the Tree of Paradise. Ale w muzułmańskim raju na przykład, to Adam podaje jabłko Ewie. Podobnie zresztą sprawę widzą feministki. Czy to ważne, kto winny trochę bardziej? Stało się. Kiedyś tam, dawno, dawno był raj, a potem coś się popsuło i, jak to mówią, zaczęły się schody. Tak już zostało. Teraz każdy ma taki raj, na jaki zasługuje. *However, in +Muslim paradise, for example, it is Adam who hands Eve +an apple. Feminists see it similarly. Is it important who is a little bit more guilty? It happened. Some day or other, +long, long time ago there was +Paradise but then something went wrong and, as they say, the hard part began. It stayed this way. Now everyone has +a paradise that he deserves. *However, in +Muslim Paradise for example, it is Adam who handed the apple to Eve. Actually, feminists see the matter in a similar way. But is it really that important who is a little more guilty? What’s done is done. Once upon a time there was ++Paradise and then something went wrong and, as they say, the hard part began. And it has just been like this. Now everyone has (+)such a paradise as he or she deserves. *But in the Muslim paradise, it is Adam who gives the apple to Eve. The case is similar in the feminist point of view. Is it important who is more guilty? It happened. Once, a long time ago there was a paradise, and then something broke down, and as people say, the hard part began. It has stayed like this already. 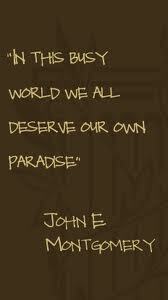 Now everyone has +a paradise that they deserve. However, in the Muslim paradise, for example, it is Adam who hands Eve the apple. Feminists see it that way, too. Is it important who is a little bit more guilty? It happened. One day, a long, long time ago, there was a Paradise, but then something went wrong and, as they say, the hard part began. It has stayed this way. Now everyone has the paradise that they deserve / he or she deserves. However, in the Muslim Paradise, for example, it is Adam who handed the apple to Eve. Actually, feminists see the matter in a similar way. But is it really that important who is a little more guilty? What’s done is done. Once upon a time there was a Paradise and then something went wrong and, as they say, the hard part began. And it has just been like that ever since. Now everyone has the paradise he or she deserves. But in the Muslim paradise, it is Adam who gives the apple to Eve. The case is similar in the feminist point of view. Is it important who is more guilty? It happened. Once, a long time ago, there was a paradise, and then something broke down, and as people say, the hard part began. It has been like that ever since. Now everyone has the paradise that they deserve.